All first-time parents have the same anxiety. They wonder about how they’re going to get through the first night, the first day, or even the first year! For parents of an infant (or infants) coming out of the Neonatal Intensive Care Unit (NICU), the stakes are much higher. They have to understand how specialized equipment works, including machines that are helping their infants breathe. They also have to be prepared in case of an emergency, such as a sudden drop in heart rate or other changes. The pediatrics home visiting program is staffed by two full-time Pediatrics Nurses and one part-time Nurse Practitioner. The two full-time nurses are available at almost all hours of the day and night to field parents’ questions and concerns. The team will visit between three and eight infants a day, or roughly 160 a year. 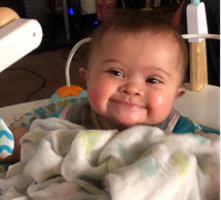 Carmen was born in April, 2018 with Downs Syndrome. She was slow feeding and wasn’t getting nutrients quick enough. Nurses from the program made weekly visits to educate her parents on proper formula supplementation and to check on her progress. 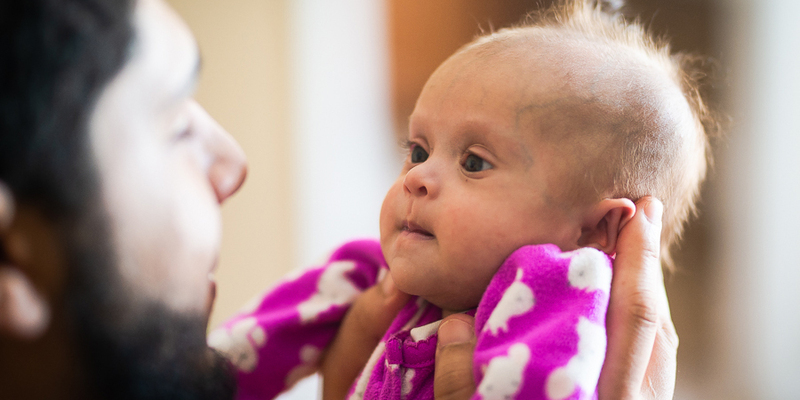 A few months after she was born, her parents learned that Carmen would need open heart surgery due to her Downs. However, in order to move forward with the surgery, she needed to be at least 10 pounds. Over the summer, the nurses worked closely with her and her parents on a feeding program that provided the best and quickest way for her to gain weight. 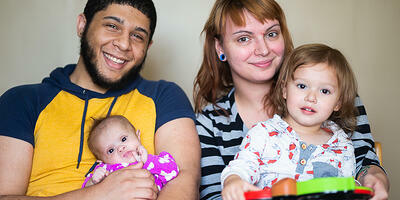 By October, when she was seven months old, Carmen weighed almost 10 pounds and was ready for surgery. Following the surgery, Carmen is doing very well and still gaining weight at a proper rate. Carmen’s success can be attributed to a combination of the weekly nursing visits and the willingness of the parents to learn and provide the best care for their child. Call us at 1-877-698-6264 to learn more about home healthcare services.